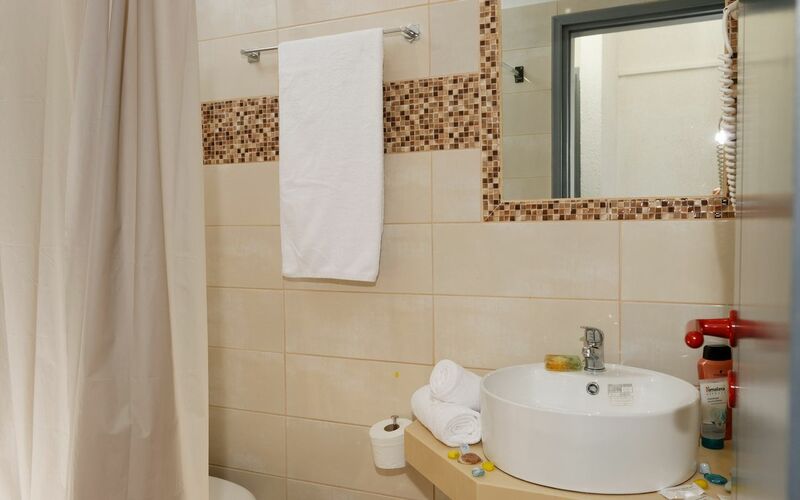 color sat TV, with International channels, music channel, direct dial telephone, private baths with showers or bathtubs and curtains, hairdryers, balconies, or terraces, all simply furnished. Guest rooms equipped with remote controlled air conditioning/heat, refrigerator, color sat TV, with International channels, music channels, direct dial telephone, private bath with shower or tub and curtains, hairdryers, and balconies, all simply furnished. Single economy/basic/standard room is ideal for maximum one person. Land View only. 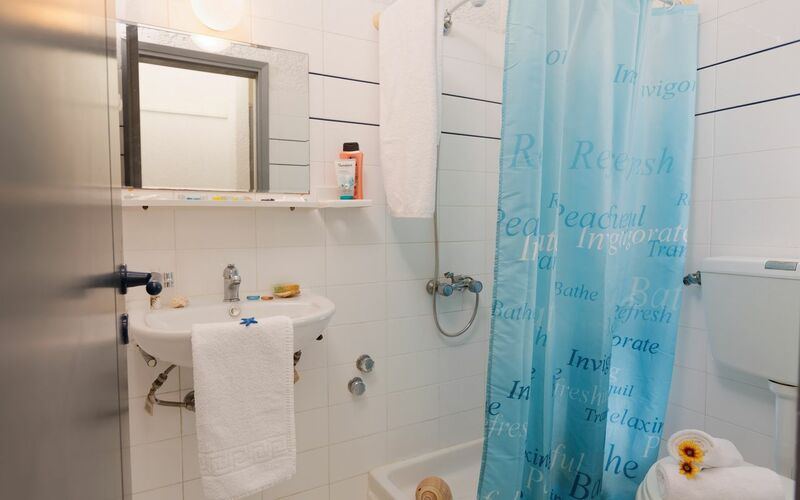 Equipped with *remote controlled air condition/heat, refrigerator, sat TV with International channels, music channel, direct dial telephone, private bath with shower and curtain, hairdryer, balcony or terrace, all simply furnished. *Please note: Premium Wi-Fi, and air conditioning in economy rooms at extra charge payable locally. ROOM UPGRADES AVAILABLE PAYABLE LOCALLY. *Please note: Premium Wi-Fi, and air conditioning in all economy rooms at extra charge payable locally. ROOM UPGRADE AVAIABLE PAYABLE LOCALLY. 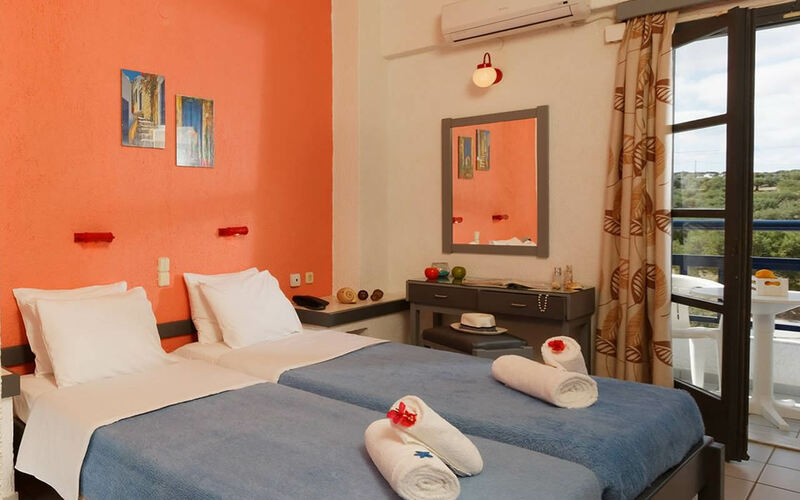 Double economy/basic/standard room is ideal for maximum two or three persons. Land View only. Equipped with *remote controlled air condition/heat, *refrigerator, sat TV with International channels, music channel, direct dial telephone, private bath with shower and curtain, hairdryer, balcony or terrace, all simply furnished. . Please note: *Premium Wi-Fi, and air conditioning in all economy rooms at extra charge payable locally. 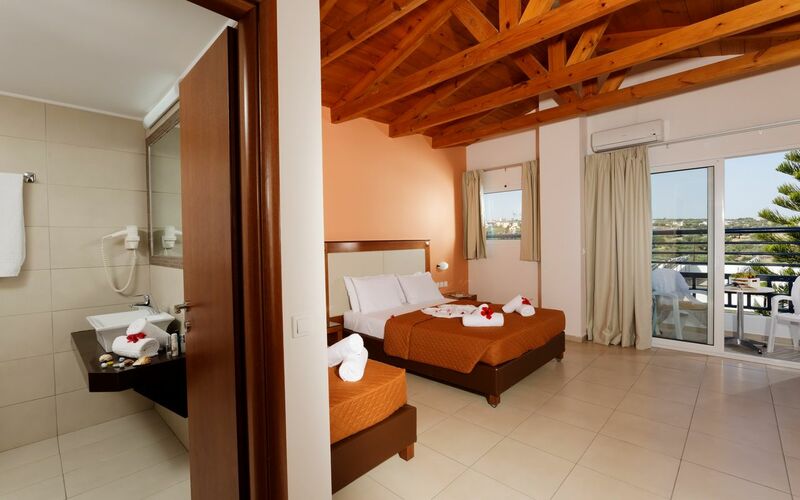 Double Superior room is ideal for up to three persons. 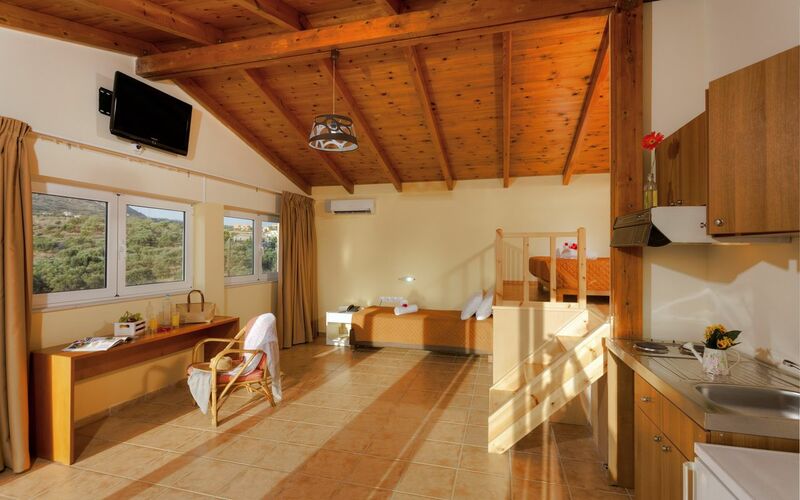 All equipped with remote controlled air conditioning/heat, refrigerator, sat TV with International channels, music channel, direct dial telephone, private bath with shower or tub and curtain, hairdryer, and balcony, all simply furnished. Air conditioning, refrigerator and Premium Wi-Fi, 7 days cleaning, towel changes daily. Family Superior room is ideal for up to five persons. Air conditioning, refrigerator and Premium Wi-Fi, 7 days cleaning,towel changes daily. Double Superior Plus room is ideal for up to three persons. Air conditioning, refrigerator, Premium Wi-Fi, safe box, 7 days cleaning, towels changed daily. 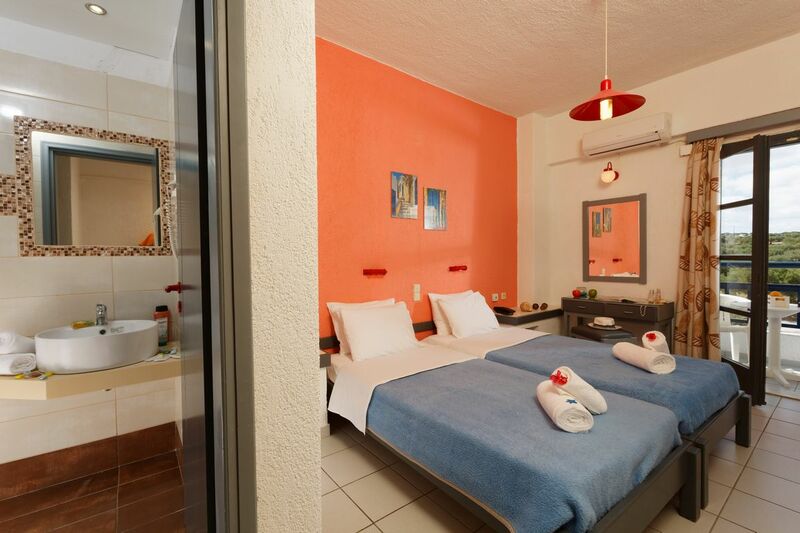 Family Superior Plus room is ideal for up to five persons. A wide range of services are always at your disposal. Air conditioning 50 euro per week, 10 euro per night. Oscillating fan 20 euro per week, 3 euro per night. Baby cot 3 euro per night. Room upgrades available at reception desk payable locally. (Half Board) available at extra charge 10 euro per person per night. Board upgrade (all rooms booked are with breakfast included), (All inclusive) available at extra charge 20 euro per person per night from Bed and Breakfast board, or 15 euro per person per night from Half Board.